The race to produce the best Nvidia GeForce GTX 1080 card is still on in earnest. After having seen what Gigabyte, MSI, Inno3D and Asus have brought to the table, it's now the turn of EVGA to show what it can do with the best consumer GPU available. EVGA has a broad range of GTX 1080-based cards, starting with the Founders Edition and then climbing the specification table until the all-new ACX 3.0 cooler is sat on top of a custom PCB. 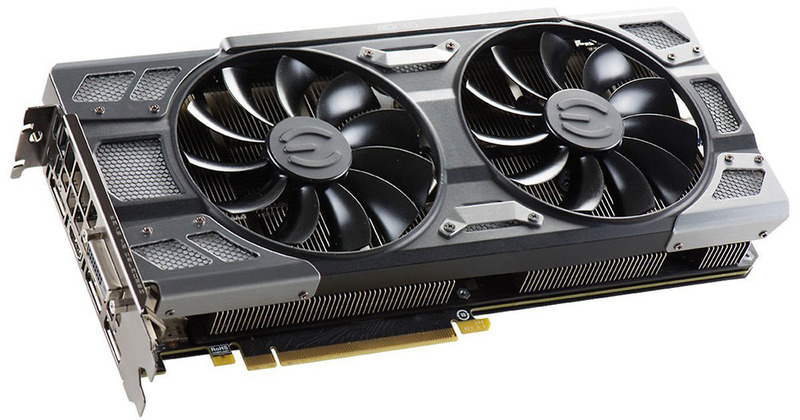 This card is known as the GTX 1080 FTW Gaming ACX 3.0 and, until the limited edition Classified hits the shelves, is the best air-cooled card in the company's considerable arsenal. With so many cards from each Nvidia partner vying for your attention, it makes sense to see exactly how FTW is contexualised. This EVGA-provided table spells it out neatly. It is interesting to note that SC Gaming and FTW Gaming share very similar frequencies out of the box, but the latter is a different beast from a construction point of view. 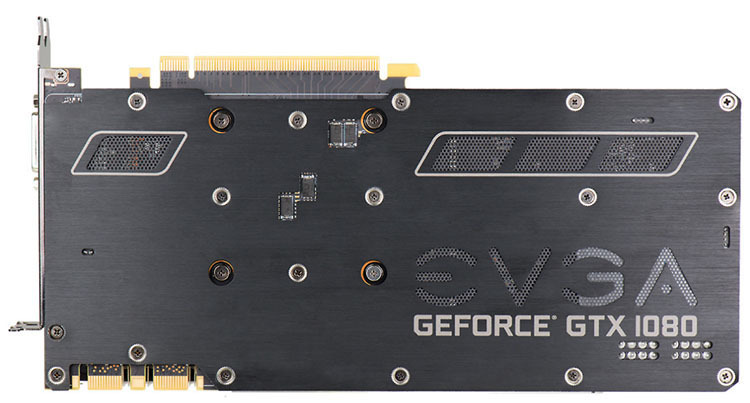 Using an extra 8-pin power connector and a total of 10 power phases for the GPU, plus two for the memory, the review card's power requirement is increased by a considerable 35W. What's ultimately telling here is that the initial batch of GTX 1080 GPUs perform almost identically, irrespective of cooling, so whilst a manufacturer can go to great lengths to produce a best-in-breed card, there really won't be anything significant between them in the benchmark stakes. This is why you've seen near-homogenous results from the GTX 1080 GPUs to pass through the labs, cooled by an eclectic bunch of HSF units. Back on point, the new ACX 3.0 cooler, common on three of EVGA's top-tier cards, represents a significant style departure from its predecessor. The previous minimalist look is replaced by a busier-looking heatsink full of small cutouts, honeycombed sections and braces. It does look better in the flesh, mind, and build quality is up to EVGA's usual high standards. We do appreciate that EVGA hasn't gone overboard with respect to size, like so many have, so the FTW card is compact in its genuinely two-slot form factor. Measuring 267mm long and 128mm high, it feels like the right sort of heatsink for a base 180W TDP GPU. And as usual, the two 100m fans switch off completely when temperature is below 60°C. The ACX 2.0 cooler was already thoroughly decent for a high-end card but EVGA says the newer model enables cards to run 10 per cent cooler and up to 13 per cent quieter. Part of these gains are attributed to an increase in heatpipe size and the amount of copper in direct contact with the core, while a slight change in the fin design enables it to be less vocal under load. We'll put both of these claims to the test in our benchmarking section. A custom PCB for the FTW offers up more opportunity of adding extra power. That second 8-pin connector means that a potential 375W can be pushed through this model, or way, way above what Nvidia prescribes. Helping enthusiasts get the most out of the card are two BIOS slots (through a small switch); the premise being you use the second one when tinkering with custom firmware. Top marks for guessing this card supports full-on RGB lighting. Rather than limit it to one section, the lighting, controlled by the Precision XOC utility usually reserved for overclocking, enables the user to change the LED colours across the entire card, with the light pushing through the honeycombed sections you see spread liberally across the FTW. The lesser-specced SC and standard ACX 3.0 make do with white LEDs alone, however. So what about the all-important speeds? The FTW chimes in at a default 1,721MHz base clock and 1,860MHz boost, which is near the top of the out-of-the-box tree. It'll benchmark well though not at the very highest level. Why? Because it doesn't feature any factory overclocking for the 8GB of GDDR5X memory that runs at a default 10,008MHz. We had hoped to see EVGA indulge in some on this, for now, premier air-cooled model. 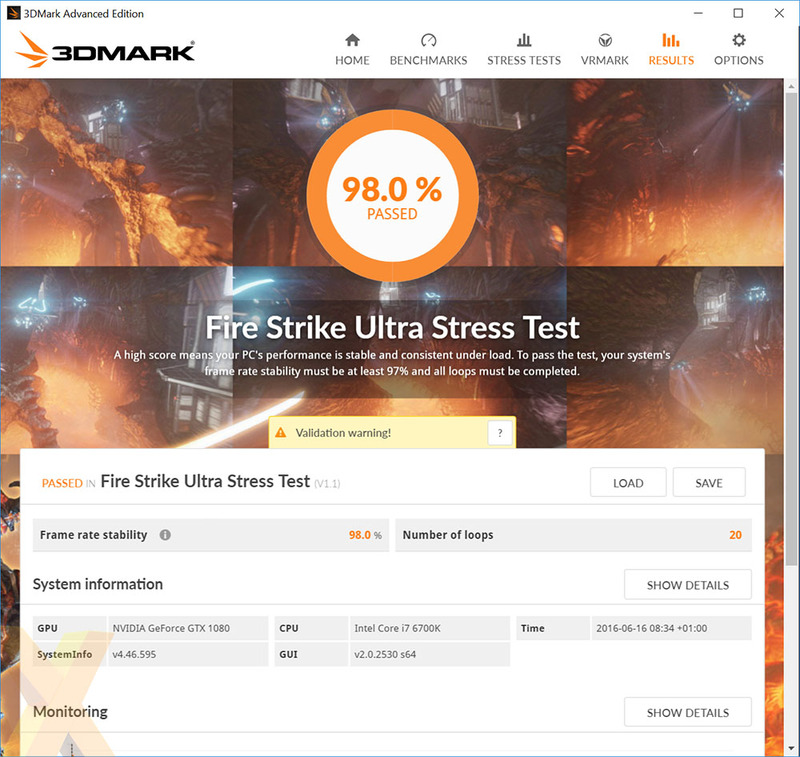 Yet the card does produce consistent performance as evaluated by the 3DMark Stress Test, returning a 98 per cent pass. New cooler? Check. Enhanced power circuitry? Check. LED lighting? Check. Card-wide backplate? Check. It becomes reasonably warm to the touch intimating it's doing a satisfactory job of moving heat away from the components. Clearly not as gargantuan as some GTX 1080s, the FTW nevertheless uses a PCB that's larger than the standard bracket. The open-air nature of the overall design means that air is mostly recirculated within the chassis, so there's little coming out of the vents on the rear. Outputs are a standard Nvidia quintet of dual-link HDMI, triple DisplayPort and HDMI. 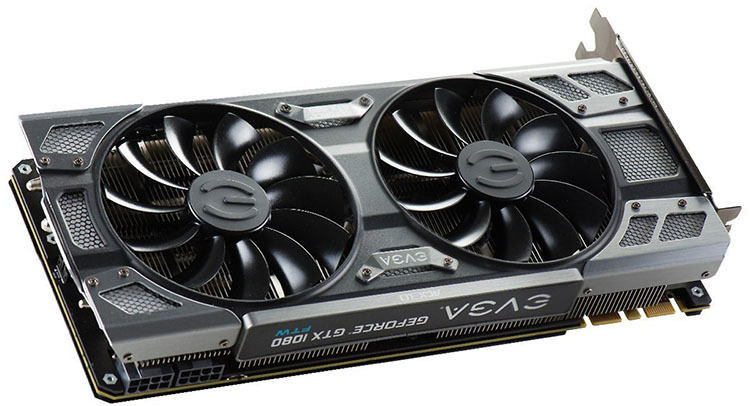 Backed by EVGA's normal three-year warranty, this card may well appeal to those of you whose budget barely manages to break into GTX 1080 territory. Available on pre-order yet with a considerable shipping delay, the FTW can be had for £599.99. This, believe it or not, is considered value in the GTX 1080 realm, and given how the dollar has appreciated against the pound due to the recent referendum result, it may not stay at this price for long. A well-built, good-looking GTX 1080 that ticks many of the right boxes on paper. Can it keep up the good work during the benchmark section? Let's find out.